Aikatsu! – 20 | Mezashite! Right then, on to Yurika’s second episode. Enjoy your vampire. TN: おだやかじゃないわね means odayaka janai wa ne. Too bad we didn’t leave it as odayaka ja nai wa. Johnny made me cry from laughing too hard. Again. 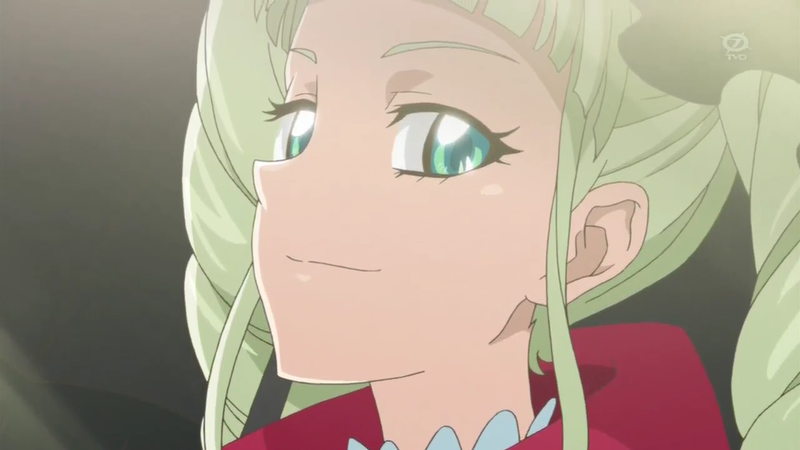 Also the end-of-episode sponsors covering Yurika’s eyes was totally intentional, I’m so sure of it. I like that we got more Yurika, and more rock. The best idol anime currently airing. Yurika was simply amazing and since Mizuki’s concert they have been putting more effort on the auditions. what?? thursday??? 6 pm??? i cant wait that long for idols!!! i love this time not any other time!! !